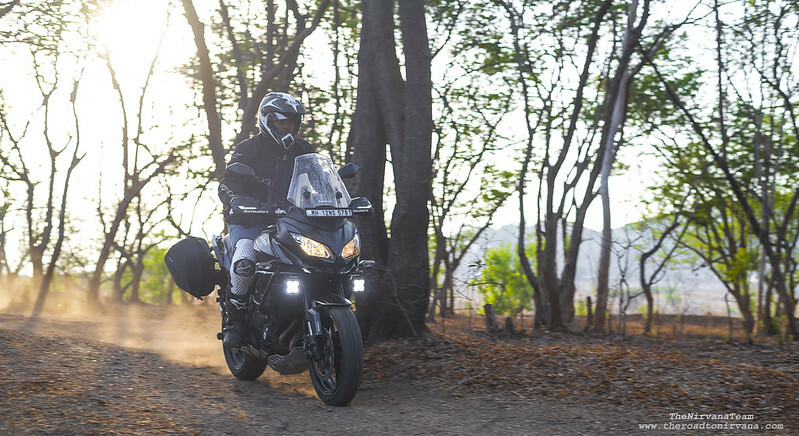 In this article, we’ll briefly talk (and walk) you through the New 2017 Arai Tour X-4 Adventure Helmet in India. 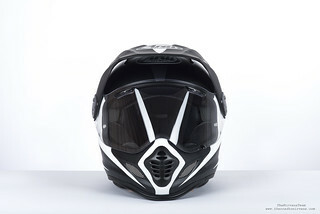 Our review will help you understand whether this is the helmet you should go for! As part of our jobs here at TheNirvanaTeam, we often head out to lesser explored parts of the Indian countryside. “Recces”, as we like to call our photography and trail finding expeditions, sometimes expose our team to conditions less than adequate for a “safe” and comfortable experience. As they say, no great story ever starts with the words “it all went smoothly”. Given the risks we take to get our clients the shots and images they deserve, our boys and girls deserve the very best of motoring protection out there when exposed to the elements. We pride ourselves on using the best equipment to get that epic shot every time and that’s the same philosophy we like to follow for the vehicles and gear that we use for our job. 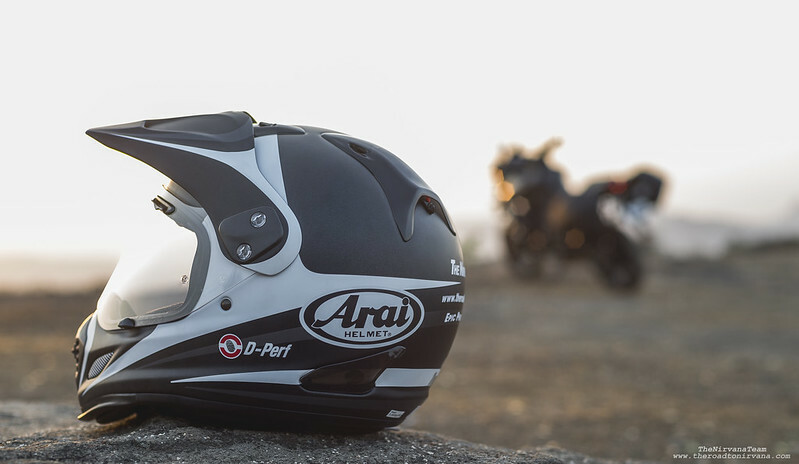 The Arai Tour X4 ADV touring helmet costs exactly INR 57000/- here in India. That’s a lot of money, a hell of a lot. One can by a brand new scooter for that much cash or maybe go on a short luxury holiday even. Is there anything that justifies spending so much on a helmet? That’s the question to ask, I think. There are helmets and there are helmets and then there are Arai Helmets. What’s so special? Well, everything. Arai does everything humanly and scientifically possible to get us the lids we deserve. The impression one gets is that every freakin’ stone was turned before asking you to shell out the better part of a months take home for a lid that is so expensive, one may want to store it in a hermetically sealed container. At least that’s the treatment our Tour X-4 got when it landed up at our studio, flying in (first class, we assume) straight from Arai HQ, Netherlands. 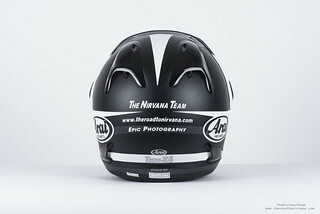 Studio images for the Arai Tour X4, shot at our in-house studio at TheNirvanaTeam HQ! 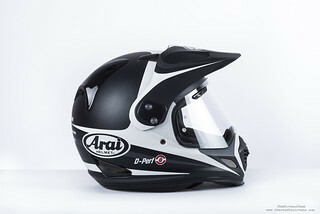 Arai only has one dealer in India. Moreover, there is no place where one can go, try out, have a look and then buy a lid of ones choice here in India. So, we’re more or less buying Arai products off of hear say or online reviews and in the rare case, having seen one a friend uses. This is something which should change, Arai, at least create one Pro Shop in India? I met a couple of big shot looking riders once and saw them flaunt their Arai lids around like it was made of some special material. Showoffs. But that did get me thinking and I researched Arai and what they do. This was almost a decade ago. It’s taken almost a decade of touring and motorcycling for me to finally get my hands on an Arai Helmet. So as far as I’m concerned, each Arai is a saga. Less a fantastic piece of motoring gear, more a fantastical entity that every enthusiast must enjoy at least once for their type of motoring usage. Right from the start, my Tour X4 fit me like a glove. I was lucky that the helmet fit me perfectly and I didn’t need to fiddle with the peel away cheek pads for a better fit. The clear visor let me comfortably wear my Aviators inside while being closed and the air vents (on the visor) did their job very well in keeping the top of my head cool even at the peak of the Indian Summer. Right from our first ride with the Tour X4, the climate was very hot and humid. More over, we did the better part of our ride close to noon, when the temperatures were tickling the tropical 40 degrees. Add to that, we were riding to the coast (humidity for the win! Not.) . So, the Tour X4 had its job cut out for. Keep my head cool, don’t let it get too sweaty, keep noise low at high speeds and do not buffet in the wind. Ventilation: Very good. Kept me cool throughout the ride, didn’t feel the need to get it off my head at every stop. Dealing with sweat: The Tour X4 is good here too but only just. Ultimately, with the Sun directly overhead, I needed to open the visor. Noise: Good. You will hear the wind at high speeds but it’s very manageable. High Speed Dynamics: Sadly here, the Tour X4 is prone to buffeting in the wind at high speeds (with the peak on). Mind you, this happened even though we had a windscreen on our test motorcycle. Visor Behaviour: Very good. Wide vision. Good clarity and very low on distortion. Locks down firmly. 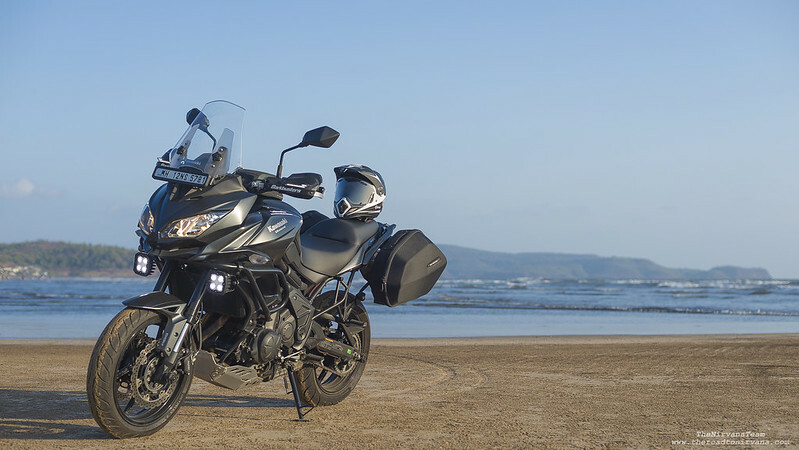 On-visor air intakes seal the deal for tourers. Accessories: Pinlock screen comes included in the box. Looks: It looks very good. The paint finish is fantastic and the myriad colourways will satisfy everyone. Although, Arai charges extra for the smarter schemes. Overall: I’ll cut this helmet a very good chit. 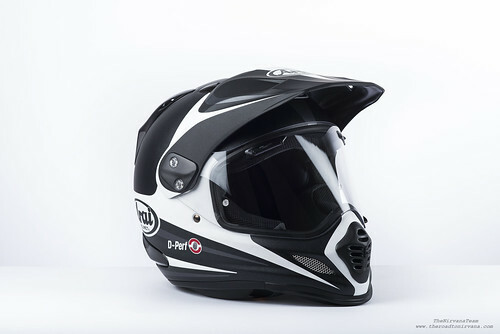 It does everything a 50-50 on-road off-road helmet should do and does it very well. A feature rich and premium helmet! The new Tour x4 feels like a solid high quality piece of gear in your hand. No loose trim, nothing hanging out anywhere and immaculate paint schemes all around. Even the moisture ‘wicking’ inner fabric is soft enough for rugged use. The double D ring fasteners are relatively easy to use with just enough space to loop the strap through and finally button it down. Buttoning down the strap ensures no flapping in the wind or at higher speed. So the attention to detail and build quality on this Arai is truly extraordinary. Where living with the helmet is concerned, it’s not too difficult. As we mentioned, Arai has just one dealer in India but they do a good job of suggesting the right sizing etc and are open to questions. Moreover, ordering replacement parts (like the inner liner, visors etc) should be relatively easy in the long run. What that means is, you don’t need to be over protective about the helmet. Use it like you would any other piece of good riding gear, store it relatively well and it should last. Arai recommends using the helmet for 5 years and then replacing it, which seems reasonable. A premium helmet that’s easy to live with, in India! 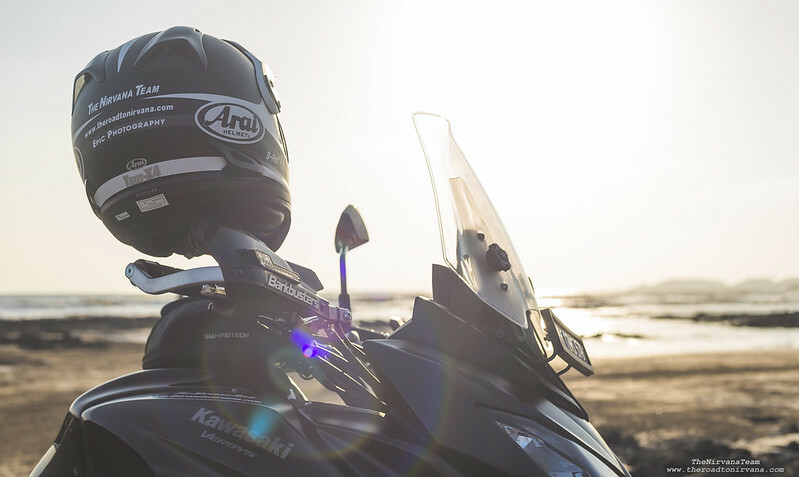 The Arai Tour X4 Adventure Helmet is the way to go if you’re used to this kind of thing. 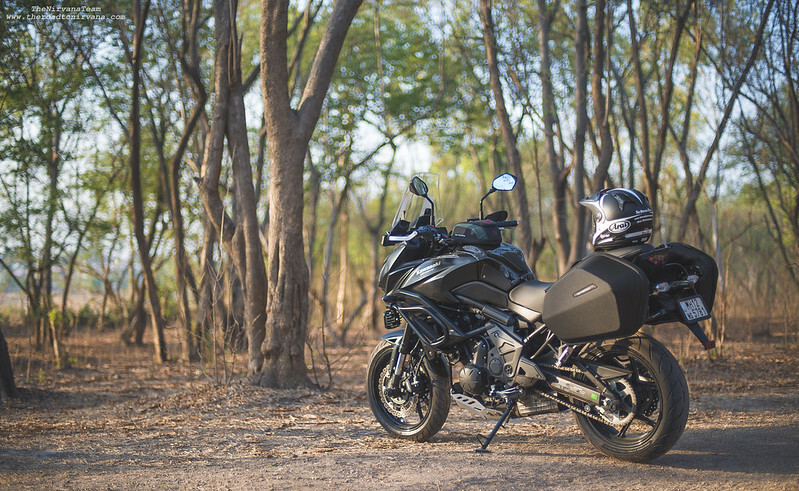 If you’re an adventure tourer worth your salt and often put yourself in situations where you may get lost without a road, you should consider this Arai. You know that Indian motorcycling conditions are very challenging. Our extreme traffic scenarios, bad road surfaces and unpredictable conditions demand that we get ourselves the best in personnel protection we can afford. 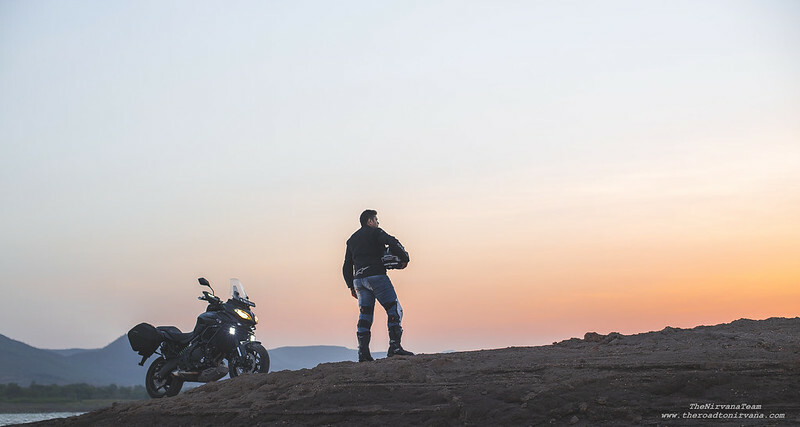 There are only a few helmets that make the cut for on-road & off-road touring and the Arai Tour X4 sits at the top. On the other hand, if you’re an occasional motorcycle adventurer looking for a premium lid, there are options like KLIM’s Krios or AGV’s AX 8 (DS) which are good and hurt the wallet less. Even if you’re not used to the moto-x shape of this helmet, Arai has done everything they could to make the helmet behave like a regular helmet. If you’re new to ADV riding and don’t mind shelling out the dough, this is a very good bet. The competition: AGV’s AX-8 DS EVO, ICON’s Variant, KLIM’s Krios, SHOEI’s Hornet X2 and the likes. The competitors come with similar issues, not many dealers, nowhere to test these lids out in India and sizing is a big fat $500 guess (at least). 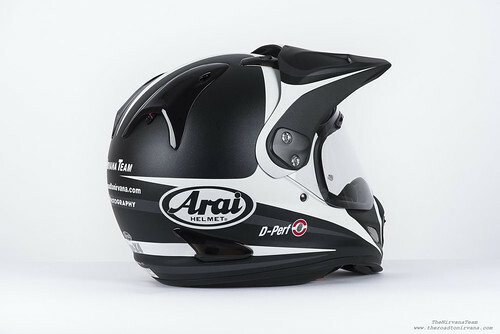 Finally then, is the Arai Tour X4 price justified? The answer – Yes, if you value the research and development it takes to develop these top of the line products. There it is then, If you are confused between what’s good and what’s arguably the best, go for the Arai Tour X 4 (XD4). We see the Tour X4 as very good adventure touring helmet which can protect you as far as your wit will take you. 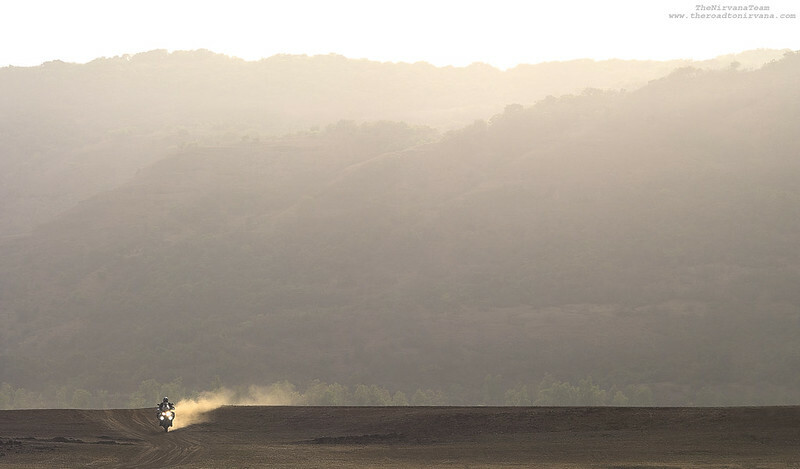 So head out and blaze trails. 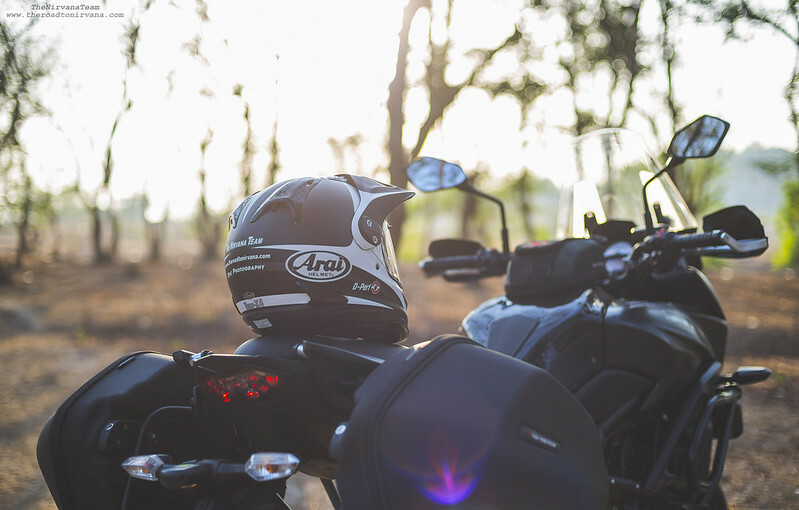 Product: Arai Tour X4 Adventure Helmet. Also known as the X-D4 in the American Markets. Photography for this piece has been delivered by our Lead Photographer – Nipun Srivastava. We would like to thank Kaustubh Khare Photography and Vaishali Chandan for assisting on shoot. Note: Mounting any helmet on rear view mirror stalks may harm the inner linings of the helmet. This entry was posted on June 3, 2017 by Nipun Srivastava. It was filed under Motoring and was tagged with adv, adventure, Arai Helmet, biking, motorcycling, off road, Tour x4, touring, Travel, XD 4.